Where Have You Gone Wentworth Miller, Tom Welling and Adrian Grenier? You know the story: very attractive lead actor stars on a hot show. Show gets canceled. Actor seemingly disappears from sight. It doesn’t have to be a sad ending. After all, Matthew Fox vanished for awhile before showing up a few years after Party of Five went off the air in Lost. And though Scott Foley’s career wasn’t red-hot after Felicity graduated from the WB, he’s now a mainstay on Shonda Rhimes’ shows and has been made a series regular for the third season of Scandal. So what will happen to Wentworth Miller, Tom Welling and Adrian Grenier, and where have they been hiding? 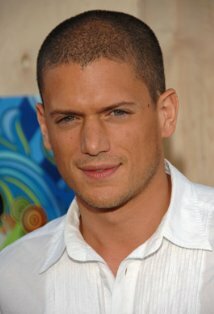 Miller seemed on the ascent when Prison Break debuted in 2005. Playing tattooed Michael Scofield, the loyal brother of death row inmate Lincoln Burrows, Miller was earnest and soulful on the increasingly ridiculous (but entertaining) show, not to mention beautiful to look at. But where has been since the show finished in 2009? He did a guest spot on Law and Order: SVU, but hasn’t appeared in another television show or movie. IMDB reports that he’ll star opposite James Marsden and Karl Urban in The Loft, which is set to open later this year, about “five friends who share a loft for their extramarital affairs that begin to question one another after the body of an unknown woman is found in the property.” He also wrote the film Stoker, which starred Nicole Kidman. Come back to TV, Wentworth! We miss your pretty face! Then there’s Tom Welling, who for ten years played Clark Kent on Smallville. Though he produced the short-lived Hellcats for The CW, he literally does not have another screen credit since the Superman drama went off the air in 2011. That will be changing soon — it was recently announced he’ll appear opposite Zac Efron in the Tom Hanks-produced Parkland, about the hours following the assassination of John F. Kennedy. Will he find “super” success on the big screen? Finally there’s the strange case of Adrian Grenier. Before Entourage started in 2004 Grenier was just another pretty boy young actor, appearing in negligible fare like the Melissa Joan Hart vehicle Drive Me Crazy. It was easy to conflate art and life when he starring as Vincent Chase, an A-list star on the HBO comedy, but since that show ended he hasn’t nearly matched his fictional character’s success. Vince may have appeared in tentpole pictures like Aquaman and worked with the best Hollywood directors, but Grenier hasn’t had an acting gig since Entourage was canceled two years ago. (He has produced a couple of documentaries and directed Teenage Paparazzo.) Will the much-discussed film version of the show bring him back to the spotlight? Are there any actors whose whereabouts you’ve been wondering about? Let me know! This entry was posted in Movies, Television and tagged Adrian Grenier, Entourage, Prison Break, Scott Foley, Tom Welling, Wentworth Miller. Bookmark the permalink.